Home » Are you ready to create a dazzling Christmas tree for annual church display? Are you ready to create a dazzling Christmas tree for annual church display? 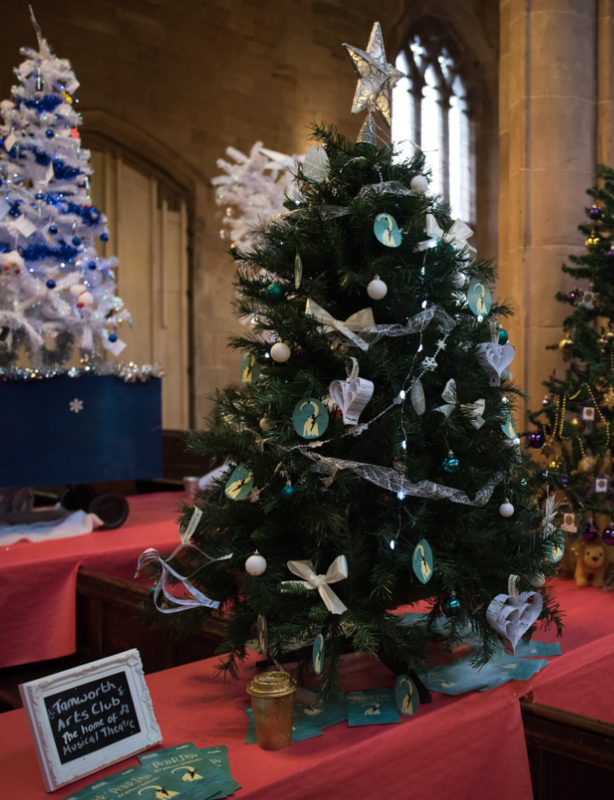 It’s that time of year when people of all ages can show off their festive creativity and take part in an annual Tamworth tradition by decorating a Christmas tree for St Editha’s Church. This year’s Christmas Tree Festival takes place from Friday, November 23 to Friday, November 30 between 9am and 5pm. Members of the public can buy a token and vote for their favourite tree. The winners of each category are announced at the end of the festival. Tamworth Borough Council’s Arts and Events team have joined with St Editha’s Church to invite businesses, community groups, charities, individuals and schools to come along and take part in one of the most popular Christmas events in Tamworth. This is an opportunity for organisations to use their creative flair and at the same time publicise their organisation/business. The town’s Christmas lights are turned on over the weekend of the festival on Sunday, November 25, where there is an expected footfall of up to 8,000 people. Anyone looking to promote their work, or individuals who just love Christmas, can take part in the event. A space in the church costs £10 and people bring their own trees; real, artificial or other. Application forms to take part in the Christmas Tree Festival are available from the Parish Office at 29 Church Street, Tamworth, St Editha’s Church book shop or via email at stedithas@btconnect.com. Or for more information, please contact the Parish Office on 01827 68339. Trees can be decorated in any way, including traditional, themed or reflective of the business or group. Please note the church cannot supply mains power so any lights must be battery operated. Decorating will take place on Thursday, November 22 and Friday November 23, between 9am and 5pm. The Christmas Tree Festival will then be open to the public until Thursday, November 29, including throughout the Christmas lights switch on event on Sunday, November 25.